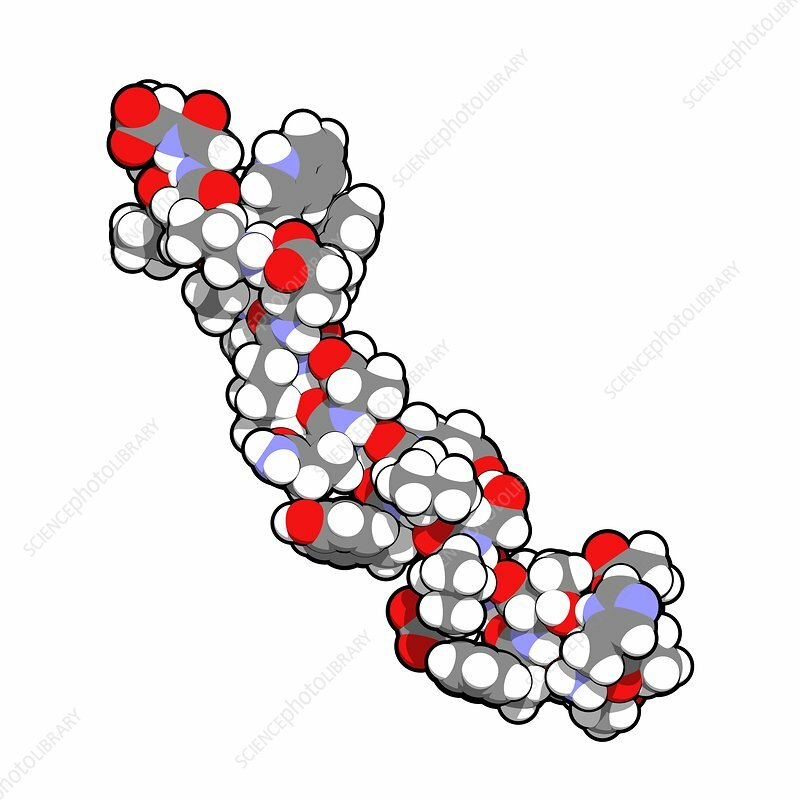 Glucagon-like peptide 1 (GLP1, 7-36) molecule. GLP-1 analogues are used in the treatment of diabetes and include exenatide, liraglutide, lixisenatide, albiglutide, dulaglutide, semaglutide. Space-filling model with conventional colour coding.